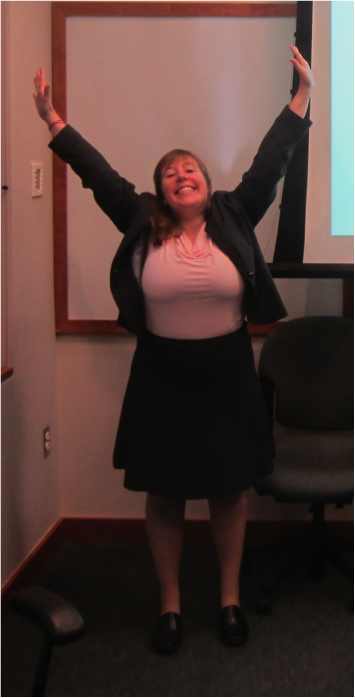 I successfully defended my PhD on Wednesday. Grad school is over (almost). It’s only barely starting to sink in that the event that I’ve been working toward for six years has finally occurred and that I’m FREE! The defense itself went well, I think. I prepared HARD for my presentation and it was pretty good by the time I gave it (given the material, of course). My committee didn’t grill me or anything and everyone was very collegial. I have been working so incredibly hard over the past couple months. It’s not just been the time I spent actively working, but I felt like I couldn’t do anything social because I should be working. I basically put my life on hold for the whole summer and I’m so ready to break out and make the most of the remaining time. I do have a bit of work left to finish up my time at my university – some minor edits of my dissertation, submitting a paper, getting rid of all my chemicals and other stuff, and helping pack up the lab for the big move. I plan to have all my dissertation and personal stuff taken care of within the next couple weeks, and then as soon as the lab is all packed and clean I won’t really have a reason to come to work any more! I’m being paid through the end of August but I’m kind of hoping everything will be completed earlier since the move is happening mid-month. A few months ago I made a list of all the things I would get to do when my defense was over. I’m so excited to reconnect with friends, clean and declutter our house, resume blogging, get back to my healthy eating and exercise practices, develop and launch my other online projects, resume volunteering with our church, gain some career experience, and take a vacation. Oh, and look for a full-time job (eventually). I’m orchestrating a smooth transition of winding down my grad school obligations and ramping up my funemployment activities. Oh, and what I’m probably MOST excited about is shedding “Mrs.” in favor of “Dr.”! (That’s a bit tongue-in-cheek, but… yeah, it’s real.) I took Kyle’s last name when we got married and “Mrs. Hislastname” has never sat well with me (that’s my MIL!). I’m so glad I never have to use that title again! What was your latest big accomplishment? Do you have any plans for the remainder of the summer? 36 Responses to "It’s Dr. EPF, Thankyouverymuch!" Congratulations big time. This must be a milestone in your life. I understand the feeling of your studies or project being your life. But a result like this makes it all worth it. I am sure you are in mixed feeling right now. 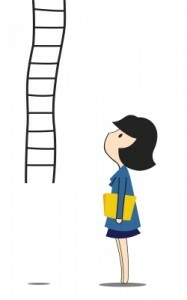 One hurdle is over but there will be new ones almost immediately. I hope you find the work you dreamed of. Good luck. Carol recently posted..What Can You Learn from an Auto Thief? I’d say it’s the third biggest day of my life so far, after my religious conversion and my wedding. 🙂 It will bump to fourth after we have a baby, I think. Thanks for your well wishes. Congrats, Emily. =) Good luck wrapping everything up and starting on your job search. Thank you! I think I’ll take a month or two to find freelance work/internships, but I want to have a few months off before I start my FT job search. Alicia recently posted..Credit Card 2 is GONE! I’ve missed you as well and the PF community generally. And non-scientific writing. We had some plans for right after my defense so I think we’re going to have a celebration next weekend. I don’t want to lose too much momentum, though, and just power through these edits. Thankfully I only had to endure 2.5 months of “Dr. and Mrs. EPF.” Kyle told everyone how much I hate it so some people made a point to use it. 🙂 I hope they will now switch to “The Doctors EPF.” It was definitely motivating to try to catch up with Kyle. Good luck to you as well at the end of this long long journey! I definitely got my distaste for “Mrs.” and especially “Mrs. Hislastname” from my mom. She didn’t take her husband/my dad’s last name and has always gone by Ms. I actually always used Ms. professionally but it’s hard to control what other people call you when they know you’re married! Thankfully no one really uses titles in academia. I also never planned to change my last name until about halfway through our engagement and it took me a looooooooong time to get comfortable with my new name. But now that we both have doctorates I think it’s kind of fun and different that we share a last name and can go by “Dr. Kyle and Dr. Emily EPF” or “the Doctors EPF” since most dual-PhD married couples we know have different last names. Congratulations!!! PhD is so awesome!!!!!!! I agree I’m not comfortable with Mrs. either. Thank you! Part of my dislike for Mrs. is that it seems unfair that men can use titles without signifying whether or not they are married but it’s so tricky for women. I’m glad I have a fully marital status- and gender-neutral title to use now to avoid discrimination. Congratulations!!! Being a PhD student myself, I understand how hard you’ve worked to get here! I’m also a PhD student. Hats off to you, Emily!! It has been a long process and VERY busy at the end. Best of luck to you in progressing well and eventually ending it! nicoleandmaggie recently posted..Ask the grumpies: Do I stay or do I go now, and if I go… then what? Congratulations Emily! Your effort has been paid off! Yes, and I hope there will be years of dividends to come. I saw you and Kyle leaving campus on Weds afternoon as I was leaving the parking deck. I wanted to yell out my window to see how it went, but you guys were a little too far away. Figured it must be good news as you were smiling and chatting with Kyle 🙂 congrats again to you Dr Emily EPF! I hope I got the email announcement out fast enough that you weren’t in suspense for too long. 🙂 Thank you! Congrats!!! This is such a huge accomplishment and the culmination of literally decades of hard work. You should feel incredibly proud of the work and effort you put into the entire process. My cousin just recently received the hard copy version of her dissertation and I was shocked at how much she had done. I could only handle that type of workload through my undergraduate degree. I did not have the energy to keep going. Congrats on doing it! Thank you! I hadn’t though about it that way but yeah, I’m finally done with school (most likely??) after… 25 years including preschool. Plus a year of relevant work experience. Wow. My mother-in-law has a doctorate and her husband does not. She really enjoys it when people refer to them as “the Dr and Mr Lastname. I LOVE the title Mrs. I wish more people would call me Mrs. Lastname, it just doesn’t come up that much. Most people do not get referred to by titles anymore. I also really like sharing that name with my husband’s grandmother and aunts (his mom has a different last name.) I don’t know, that is weird of me, I guess. I just feel like I really chose his name to share, whereas I just got stuck with my father’s. Ummm yeah your PILs should always be addressed as Dr. and Mr.! What fun! But like you said, titles aren’t very commonly used, at least verbally. I took my husband’s name, but if I’m asked (i.e. if I’m filing out some contact for that has choices), I go by Ms. instead of Mrs. But I don’t really care. The only thing I hate is when we get mail addressed to Mr. And Mrs. HisFirstName OurLastName. I understand it is “proper” and I forgive it for wedding invites and/or grandmothers. Other than that, please just don’t!